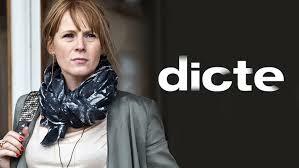 Danish series Dicte - Crime Reporter starts on More4 next Friday (3 June) at 9pm. It appears that series 1 will be shown over five weeks in two-hourly slots. There have been two series so far and a third has been commissioned. Crime reporter Dicte Svendsen returns to her hometown of Aarhus following her divorce and stars Iben Hjejle as Dicte and Lars Brygmann (Unit One, Borgen) as Detective John Wagner. 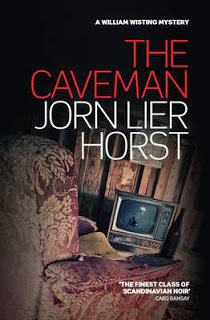 The series is based on Elsebeth Egholm's Dicte series of books of which only two are available in English, Next of Kin and Life and Limb (books four and five in the series). These have been published only in Australia at the moment but they can be purchased via the Book Depository website. Welcome to another entry in my irregular feature: US cozy review. Again, this is the start of a new series, and it features a lead who runs the local library. 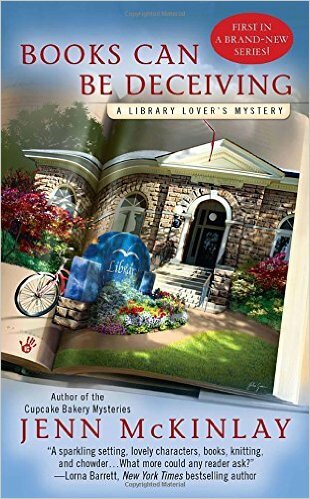 BOOKS CAN BE DECEIVING is the first book in the Library Lover's series. As a Library Assistant myself, you would expect me to love this book and you would be correct. 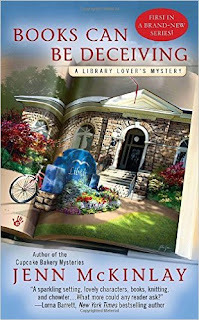 Set in a coastal small town - Briar Creek, Connecticut - the lead character is Lindsey Norris who has recently taken the job of Briar Creek's Library Director after a troublesome personal and professional life elsewhere. Lindsey's best friend Beth has been working as the children's librarian in Briar Creek for years so it is a happy reunion. Lindsey has implemented a few changes at the library, much to the disapproval of long-time employee Ms Cole. One of these is a crafternoon session where a group of patrons knit and discuss their book group read. Beth is an aspiring children's picture-book writer and illustrator and her boyfriend of five years, Rick, is a successful children's author however no-one can see what Beth sees in him. A row over Beth's labour of love leads to the couple splitting and a subsequent revelation has Beth fuming and dashing out to his home on a private island. Accompanied by Lindsey and local sailor Sully they do not expect to find Rick's dead body. 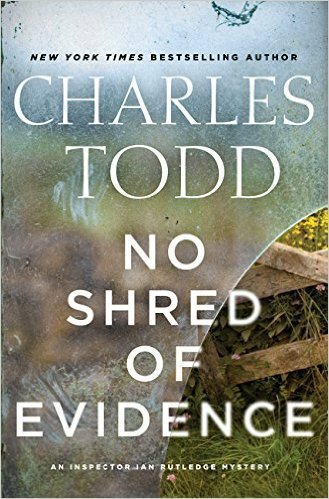 The dim-witted local police chief has Beth in the frame however he doesn't count on Lindsey doing her own sleuthing to uncover the real killer. BOOKS CAN BE DECEIVING imparts a feeling of comfort. The setting is gorgeous and the locals have embraced Lindsey into the community (with the exception of Ms Cole!) and there's just the hint of a salve for Lindsey's broken heart in the shape of hot-chocolate making Sully (recipe included). 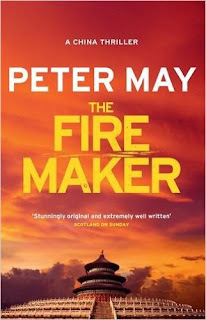 The mystery side is fine – I didn't guess what was going on - but it takes a while to get a head of steam but the finale is quite action packed and full of peril. There is also a very funny scene towards the end in a college. I really enjoyed the feel of the book – the ambience, the wonderful library and the book-ish references - so much so that I've just ordered books two and three. The seventh book in the series is due out in November 2016. I may have caught up by then! 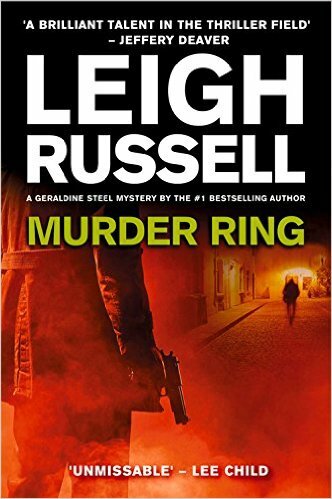 This is the next book in the extremely popular series featuring Leigh Russell’s DI Geraldine Steel. As usual it is well written but a quick read and can be devoured in a short period of time. Geraldine has gone from strength to strength since we first met her in CUT SHORT in 2009. She has moved towns, been promoted and found herself to be both highly respected and skilled at what she does. 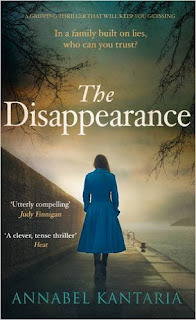 I am always delighted to get my hands on another book in the series about this particular police detective. It is only a pity that I read them far too quickly! In MURDER RING, a dodgy, fresh-out-of-jail, house-breaker called Lenny arrives home after serving his time inside. He is late back, after celebrating his freedom with his mates, and suspiciously offers his girlfriend a diamond ring to compensate for his behaviour. She can’t believe her eyes but her luck soon runs out when Lenny decides to flog the ring and takes it back. Right about the time he is doing this, a body is found in a side street in central London. The victim, a Mr. David Lester, has been shot in the chest and is missing his nice leather jacket – as well as a box containing his wife’s very expensive engagement ring that was being resized. 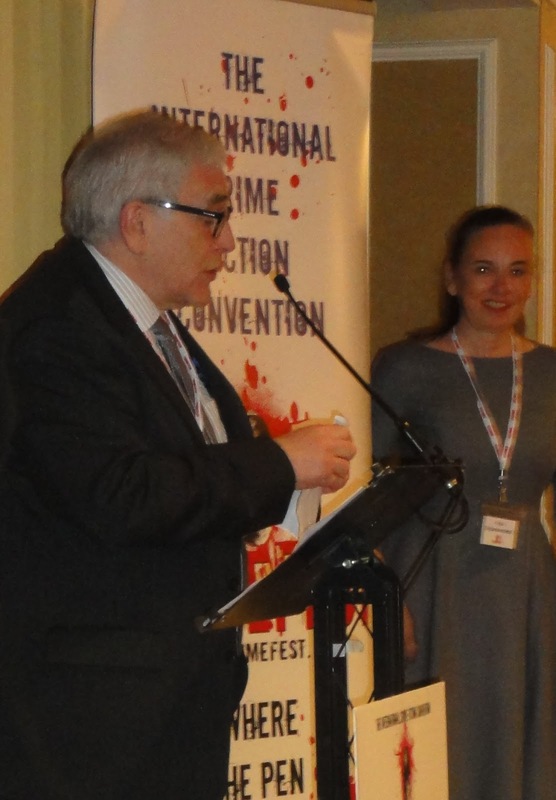 It is almost immediately obvious to the reader who has the ring but the identity of the shooter remains a mystery; both to us and Geraldine and her team. She has the added worry of a new boss to impress and a new lead on the whereabouts of her birth mother, who might be prepared to meet her at last. The pressure on Geraldine seems greater than ever in this book. She is irritable with Sam, her faithful and talented DC, and silently watching her sister’s developing pregnancy all the while not getting any closer to finding herself either a man or closure on her adoption. Just as the police begin to turn things around and have the killer in their sights, as well as locked up and under arrest at last, another body is discovered and they have to begin again. Geraldine has to dig deep to find her quarry before any more lives are lost. 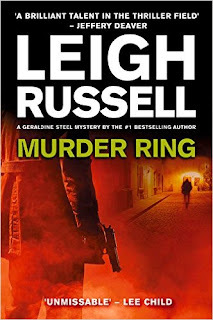 Leigh Russell has begun two other series since we were first introduced to Geraldine and the others are equally excellent but this series is my favourite. I love this feisty female detective and feel as if we are friends. This latest instalment does not disappoint and has you guessing and looking for clues, right until the very end. It is interesting to follow an author from their very first book and watch how their work develops. I am really enjoying the journey with Leigh Russell and am looking forward to the many more books that are sure to come! The book begins with Audrey Templeton on holiday with her two adult children, twins Alexandra and John. She goes missing, presumed having fallen overboard whilst at sea. In 1970 Audrey Bailey, devastated following the death of her beloved father (her mother having pre-deceased him) decides to sail from England for Bombay to make a new life. She quickly falls under the spell of a suave businessman, Ralph Templeton. After a whirlwind courtship he proposes to her, but tells her he has two children, their mother having committed suicide. Marriage is difficult because of Ralph's moods, jealousy and his need to control. She makes the best of it for the children. They eventually return to England to live. Audrey misses the sights and sounds of Bombay. She goes to Art class and gets involved with the tutor, but Ralph eventually finds out and takes a violent revenge. After Ralph's death Audrey moves from London to Cornwall as she misses the sea. Her son John lives near and her daughter and her husband also move close. However John and Alexandra find trying to keep visiting Audrey exhausting and John in particular would like her to move into sheltered accommodation. Audrey who is only just approaching her seventieth birthday does not feel old and disagrees. Then the twins receive an invitation to go on a cruise of the Greek islands with their mother. What could go wrong in such idyllic settings? This is the second novel from this Dubai-based British journalist. Her first book was COMING HOME. I enjoyed the story of Audrey's life. The book reminded me of the type of book that Robert Goddard writes, and this is high praise indeed! I intend to download her first book now and would thoroughly recommend this one. 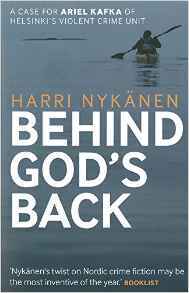 BEHIND GOD'S BACK is the third in the Ariel Kafka series but is the second to be translated. The other being the first book in the series, NIGHTS OF AWE. Ari is one of two Jewish police officers in Helsinki/Finland and he is called in to investigate the murder of leading Jewish businessman Samuel Jacobsen. 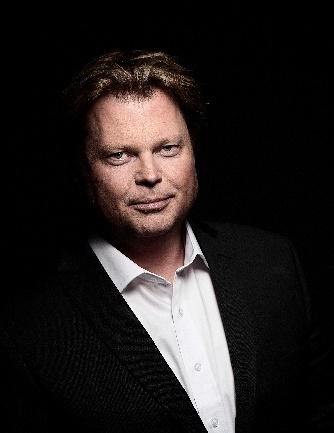 Many years ago Ari dated Jacobsen's daughter and recently Ari's brother Eli's law firm arranged a loan for Jacobsen. These factors are positives rather than meaning Ari has to recuse himself. The killer seems to be a professional, no evidence is left behind and the getaway car is found, also completely clean. Ari's small team have to discover whether this is a racist killing or had Jacobsen got involved with criminals? Just when Ari is beginning to get somewhere, a second killing occurs. Is there a connection to the upcoming visit by an Israeli politician? An unexpected source holds all the answers. BEHIND GOD'S BACK is an easier book to follow than NIGHTS OF AWE. It is fairly short, so plot overrides characterisation I feel and I haven't got much of a handle on Ari's colleagues. Setting the crime in the Jewish community however, means that not only do you get information about Jewish customs but you get almost a "village" setting as Ari knows everyone and they know him and he will get information that "outsiders" won't. BEHIND GOD'S BACK is an interesting read and Ari is a typical fictional cop: forty-ish, single, smart-mouthed but for once without a drink problem. The pace is steady, there are no dips, and overall it's a solid police procedural. I hope that more of the currently five-book series get translated into English.